Any long time resident of the Chicago area is familiar with the name Hubbard. There is Hubbard Street. There is Hubbard High School. On the Kennedy expressway, there is Hubbard’s Cave. There is the Hubbard Street Dance Group. However although familiar with the name, most know nothing about this individual and how he was a significant person in Illinois and the Chicago area in the 1800’s. 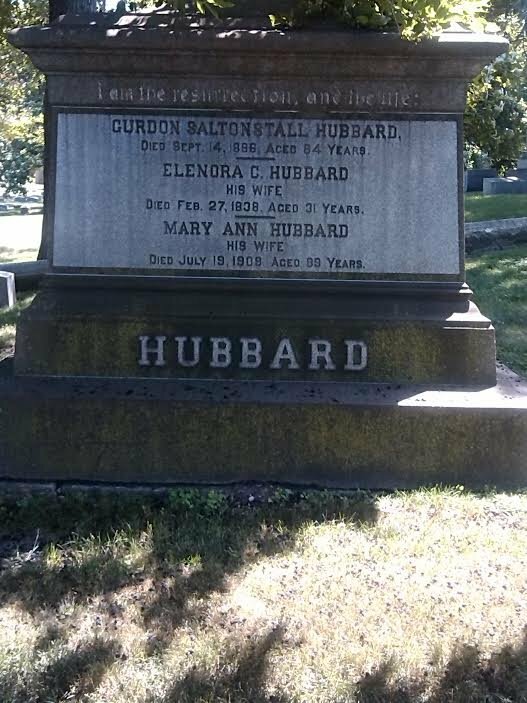 Gurdon Saltonstall Hubbard was born in Windsor, Vermont on August 22, 1802. His parents were Elizur Hubbard and Abigail Sage Hubbard. His father was an attorney by profession. He became involved in speculative ventures. He lost a significant amount of money and property in these pursuits. Because of this reversal of fortunes, young Gurdon was sent to live with his Aunt Salonstall. After that, he lived with her son in law Reverend Daniel Huntington in Bridgewater, Massachusetts. In April of 1815, he returned to his family. The mother , father and six children relocated in Montreal, Canada. The father could not work as an attorney because of Canadian laws. The father bought a house in Montreal and took in boarders. He also was able to do consulting legal work. Young Gurdon was able to make some money buying produce from Vermont farmers and reselling it in Canada. In 1816, Gurdon secured a position in a hardware store for board only. His only friend was John Dyde. His father ran a boarding house. This is significant because one of the regular boarders was William Matthews–an agent for the American Fur Company. Mr. Matthews was in the process of recruiting 12 clerks for the company. John Dyde was able to obtain one of these positions. Young Gurdon decided that he wanted to join his friend. After much discussions with his parents and Mr. Matthews he was able to secure a position for 5 years at $120 dollars a year. He was 16. On May 13, 1818 he left on his first voyage. The group first traveled along the Saint Lawrence River. This part of the trip was note worthy in that young Gurdon met Hiram Norton (who would become a successful business man in Lockport, Illinois along the Illinois Michigan Canal). The voyageurs ultimately ended in Lake Huron. From here in July they came to Mackinaw which was the headquarters of the American Fur Company. In the summer, the traders from the scattered posts of the Company gathered and brought the fur they had obtained during the hunting season. They also received supplies. It was here that young Gurdon met John Kinzie-the son of a founding family of the Chicago area. As the time came to leave Mackinaw, young Gurdon was able to obtain an assignment on the Illinois brigade. This unit was under the supervision of Mr. DesChamps. The brigade left from Mackinaw on September 10, 1818. It consisted of twelve boats. The group arrived in Chicago on October 1. 1818. Young Gurdon became familiar with the Chicago area. He visited Fort Dearborn. He also connected with the Kinzie family and became friends with them. After spending a short time in the area, the brigade again began its journey. They traveled down the south branch of the Chicago River. They then entered the Chicago portage. They traveled through the area of the Mud Lake. It was a difficult journey. The group experienced deep mud, leeches, and mosquitoes. Eventually they reached the Des Plaines River. Perhaps during this journey young Gurdon fantasized about the need of a canal in this area as had Marquette many years before. Once in the Des Plaines River, the brigade passed the Isle la Cache area (now a part of the local forest preserve district with a museum). They passed the mouth of the Fox River and Starved Rock. They reached the trading post at the junction of the Illinois and Bureau Rivers near the town of Hennepin. This was the first assignment for your Gurdon. He worked with a disagreeable gentleman named Mr. Beebeau. Gurdon and Des Champs went a short trip to Saint Louis before Hubbard began his assignment. This occurred in December of 1818. Hubbard clerked at this post during the winter. In March, 1819 Des Champs and the brigade of 13 boats loaded with furs arrived at the Hennepin station. After a few days the group left for Mackinaw. They passed by Starved Rock, Isle la Cache, Mud Lake and the Chicago River. The group spent a few days in this region. Then it was off to Mackinaw which was reached in the middle of May. The next season, Mr. Hubbard was given a new assignment at a post on the Muskegon River with Jacques Dufrain. Hubbard was made commander of the expedition. They left in October of 1819. The next season, his assignment was on the Kalamazoo River in Michigan. His staff consisted of three Canadians who were familiar with the area. He also had an Indian named Coso in his group. His next season he returned to the Illinois River area. The assignment was at the mouth of the Crooked Creek down stream from Peoria. His next assignment was the Bureau post. This was the site of his first posting. The next year his assignment was on the Iroquois River near the site of the village of Watseca. Having completed his initial term of service, in 1824, he was offered and accepted the position as Superintendent of all of the Illinois River trading posts of the American Fur Company. In 1825, he spent the winter at the Iroquis River Post. After working for the American Fur Company for 7 years, Hubbard was made a special partner. By 1827, he bought out the Illinois interest of the American Fur Company. He built his store in Danville and made this his permanent headquarters. In 1829, he brought a large number of hog carcasses to the Chicago area. This was the start of the meat packing industry in Chicago. In 1830, he drove a large number of hogs into Chicago and slaughtered them and provided them to the local residents. This began a long history of supplying meat to the area. Sometime during is stay in the Danville area, Gurdon became the adopted son of Chief Waba of the Kickapoo. For two years, he was married to Watseka (the niece of the chief). They had two children none of whom survived. Hubbard maintained his store in Danville even as the fur trading business was declining as the Indian population was being relocated west of the Mississippi. In 1831, Hubbard married Eleanora Berry of Urbana, Ohio. 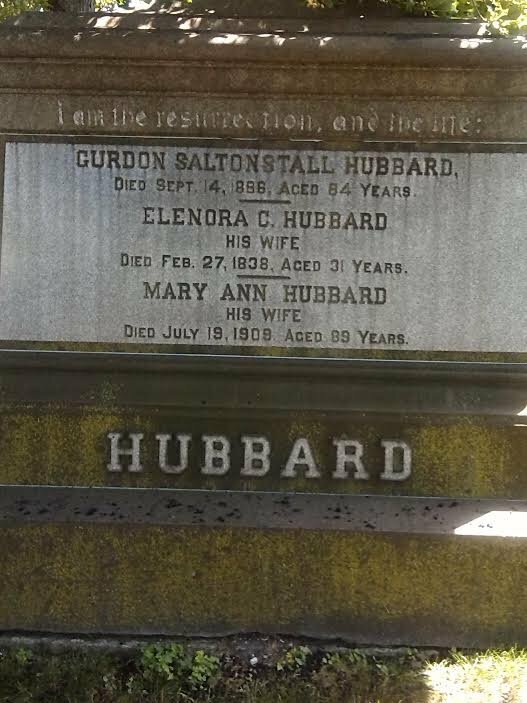 Their marriage produced one child Gurdon S. Hubbard, Jr. His wife died in childbirth at the age of 31 in 1838. While in residence in Danville, Hubbard, Sr. served in the Illinois legislature from 1832-1833. He introduced a bill in the assembly calling for construction of the Illinois and Michigan Canal. He left Danville for permanent residence in Chicago in 1834. He purchased a cabin from Billy Caldwell. He expanded his meat packing businesses building warehouses at LaSalle and South Water Street and Kinzie and the Chicago River. In the latter warehouse, he had a branch of the Illinois State Bank. He established a line of boats plying the Great Lakes. He was an insurance representative for MXnz for 30 years. In 1834, he was chosen a town trustee. Beginning in 1835, Mr. Hubbard became a land speculator buying water lots and land plots along major routes not only in Chicago but also in Milwaukee, Green Bay and Racine. He served as a commissioner of the I and M canal from 1835–1841. In 1848, he was one of the founders of the Chicago Board of Trade. In 1843, he married his cousin Mary Ann Hubbard. She outlived her husband living into the early 1900’s. Hubbard was elected a Chicago alderman in 1860’s.